We are proud to announce that Avelina Homeowners Association has selected Tinnelly Law Group as their associations’ legal counsel. 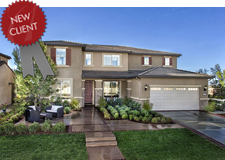 Avelina is a brand new single family detached home community in the city of Perris being developed by Pulte Homes. The community features five versatile floor plans ranging from 1,959 to 3,286+ square feet with 3-7 bedrooms and up to 5 baths. Residents will enjoy this family-friendly master planned community with a neighborhood-exclusive pool, kiddie pool, Jacuzzi, BBQs and more. Our HOA attorneys and staff look forward to working with Avelina’s Board and management.